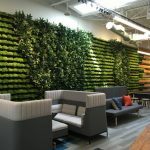 GCUC founder, Liz Elam shares her 2019 coworking trend predictions. With regards to mental health, we are facing a global crisis. The World Economic Forum reports that depression is the number one cause of ill-health and disability worldwide, with an estimated 300 million people suffering from it. To help bring attention to this global crisis, GCUC co-founded CheckYoMate, a campaign to bring awareness to the mental health crisis and to help destigmatize mental illness.